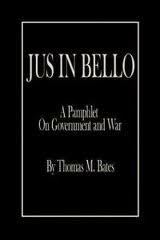 Jus in Bello Research Papers delve into an order placed on the dropping of the atomic bombs on Hiroshima and Nagasaki. Jus in Bello research paper due and don’t know how to start it? How about like this? To what extent (if at all) was the use of atomic weapons against Hiroshima & Nagasaki justified/legitimate in light of just war principles known as "jus in bello"? To what extent (if at all)were the just war principles taken into consideration during the decision making process - ending in the decision to drop the bombs? The principle of "proportionality" was a main factor in the decision making process. The final decision to drop the Bombs remains problematic in light of the principle of "discrimination" and the doctrine of "double effects". Chapter 1: Introduction - the purpose of this paper, the research question, the assumptions and the paper methodology which would also include, but not only, that this is not an empirical study but rather a content analysis based on quality sources, literature summary: search words used to find sources, databases etc. Chapter 2:- Theoretical background:- describes "jus in bello" the principles of "jus in bello" - proportionality, discrimination and non-combatant immunity, the doctrine of double effect, international law Geneva convention. Chapter 4:- the "heart" of the paper - the analysis of the events (this part should rely heavily (but not only) on "truman" papers, diaries, letters, memoirs etc. Chapter 5:- conclusion: -taken from chapter 4 - basically answering the research questions and validating or refuting each of the two assumptions, also why weren't the targets military only, and of course, the conclusions may be different for each city, hiroshima & nagasaki, pertaining to whether or not the bombing was justifiable or not. Chapter 6:- Bibliography - Copies of all sources used!! Paper Masters writes custom research papers on Jus in Bello and delve into an order placed on the dropping of the atomic bombs on Hiroshima and Nagasaki.